WWW, October 2008 - Alpha and Omega love their audience enough to have their video technician create a clip around a tune even before it is officially release and they put it online for you and I to enjoy. Alpha and Omega are a leading force within UK DUB with their own specific sound and basslines. Deep, deep basslines! They've had a whole legion of vocalists voicing over their original riddims and the result is something very unique that you just cannot afford to dislike when you're into DUB, even "just" into Reggae Music. 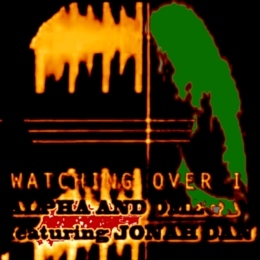 In "Watching Over I", UK vocalist Jonah Dan sings over the riddim, chanting spiritual words of wisdom that will appeal to the Righteous Rastaman and others who know themselves. The tune, according to the description given by Alpha and Omega who put the video online themselves, is currently in it's pre-release stage. A sign of Raspect to the audience, let's give them Raspect too and buy their material as they need it!